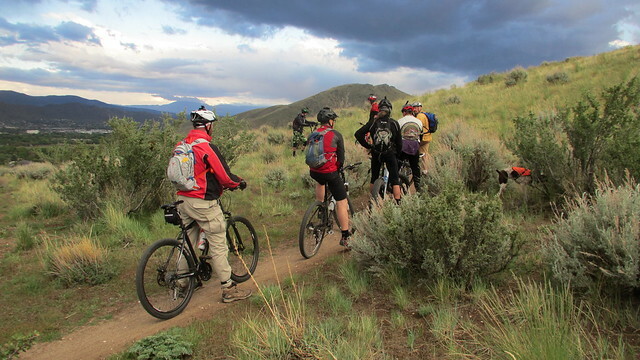 It’s been a fun and busy Bike Month here in Carson City this May. Here are some highlights of the events we’ve had so far. 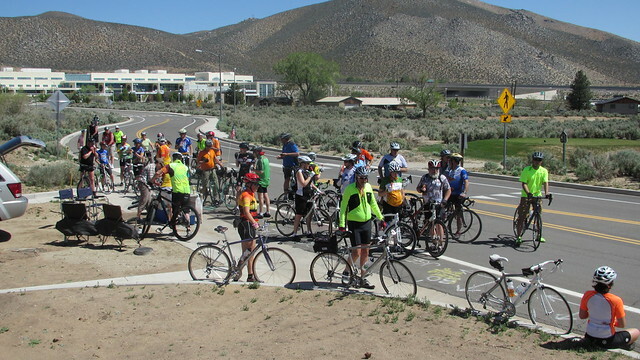 On May 3rd, Bike Habitat hosted their annual Tour of Carson City, a 27-30 moderately paced bike ride around the perimeter of Carson City. 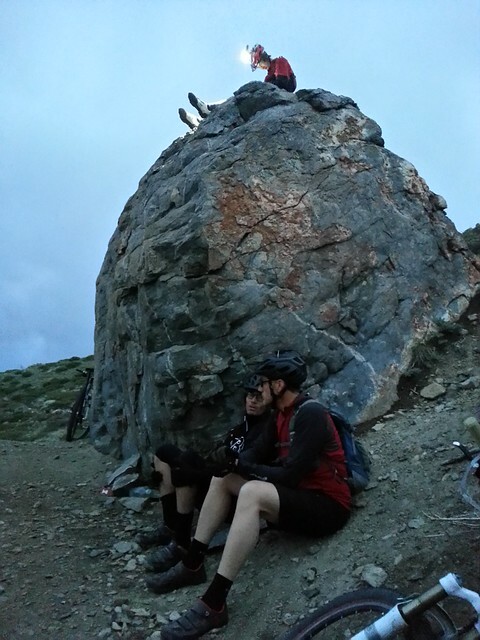 The weather was perfect, and 130 riders signed in for the ride. 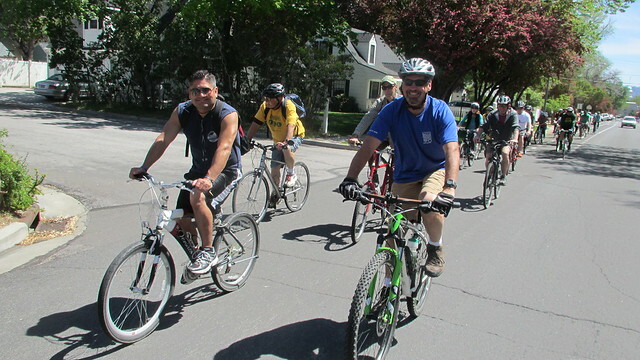 Very popular this year was the popsicle stand rest stop, a little over halfway through the ride. 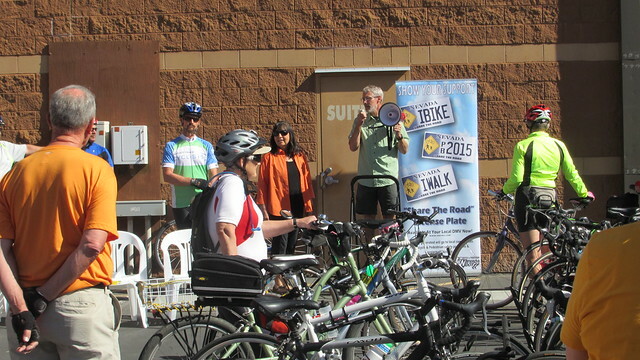 The Bike Habitat provided lunch for all the hungry riders at the end of the ride. 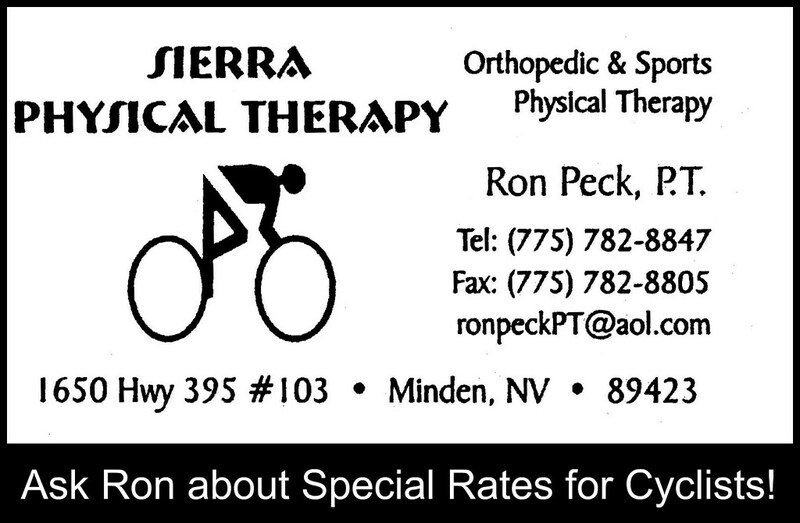 On May 4th there was the Carson City Celebrity Ride. 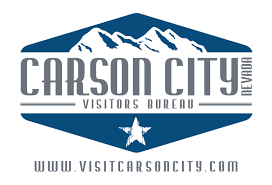 You won’t recognize any of these celebrities from the big screen, but these are the folks working hard to make Carson City bicycle friendly and just a great place to live in general. 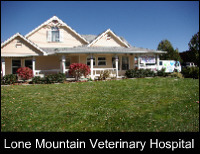 In attendance were the Mayor, the Sheriff, members of the Board of Supervisors, Regional Transportation Commission, Public Works, Muscle Powered, Safe Routes to Schools, Nevada Magazine, Search and Rescue, local media outlets, and more. 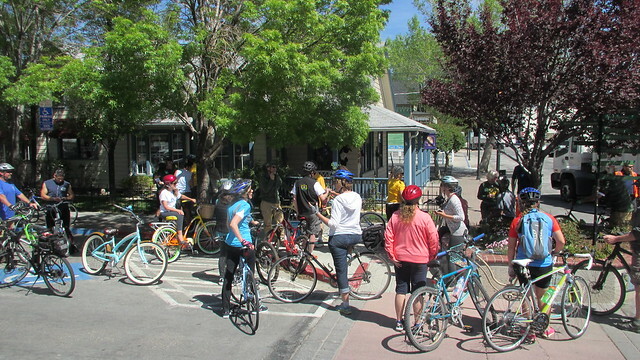 After the Mayor said some words about Carson City becoming an official Bicycle Friendly Community, a designation awarded by the League of American Bicyclists, the group pedaled around the west side historical district for a short bike ride. 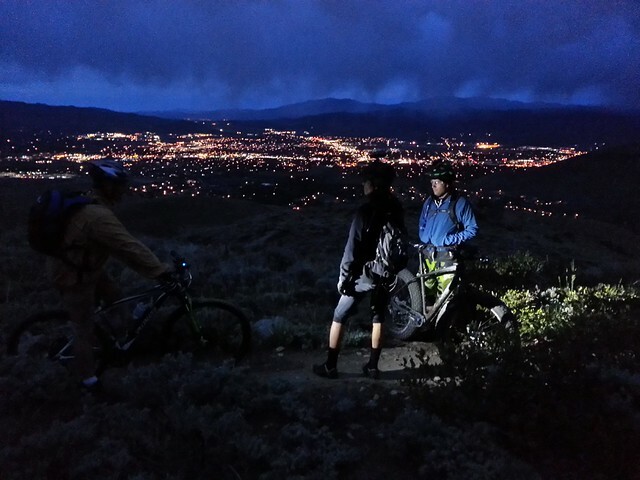 On May 6th, Muscle Powered and Jet Lites hosted a night ride on the newly constructed Ash Canyon to Kings Canyon trail. 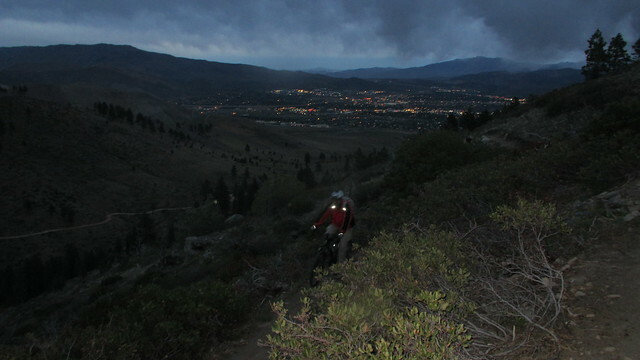 The rain broke just in time for the ride, and riders started off in the twilight to ascended the mountain. 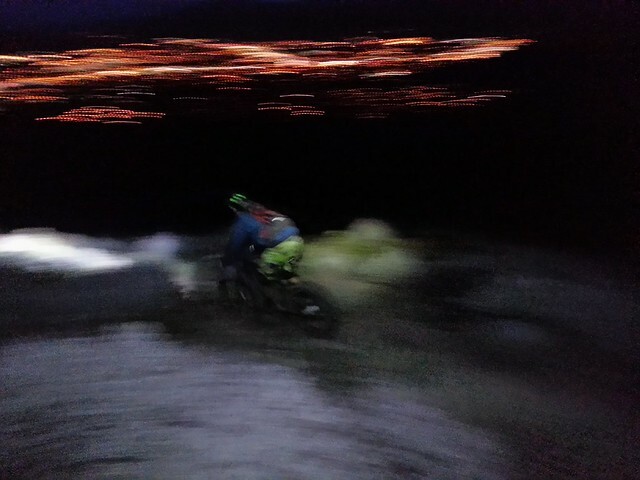 Lights came on when it got dark for some exciting riding above the glowing city lights below! 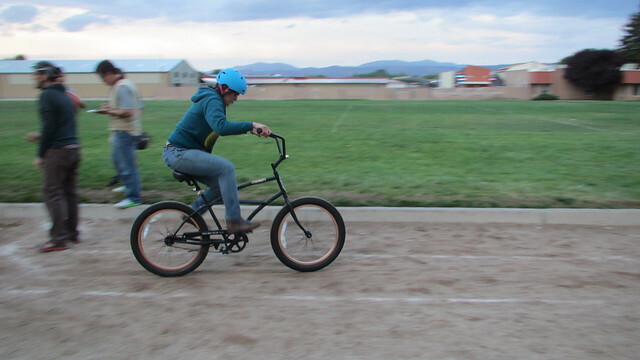 In addition to the public events, there have been some esteemed invitational competitions as well. 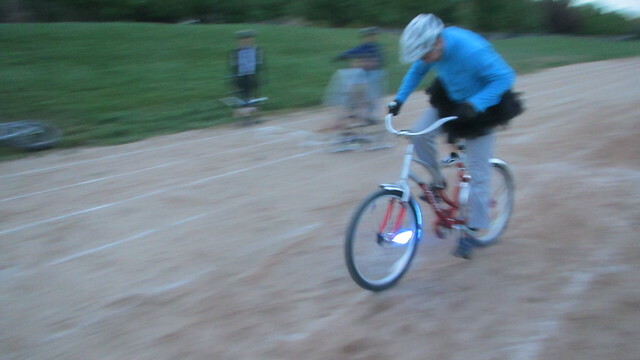 Invitees to the Dorklo-napolis 50.0 had no idea what they were getting into. 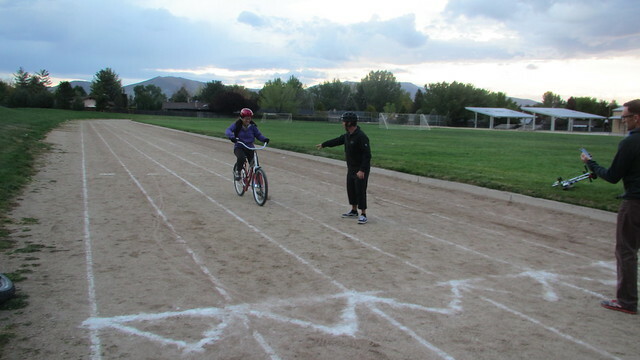 Race location, format, and rules were learned only moments before the event. 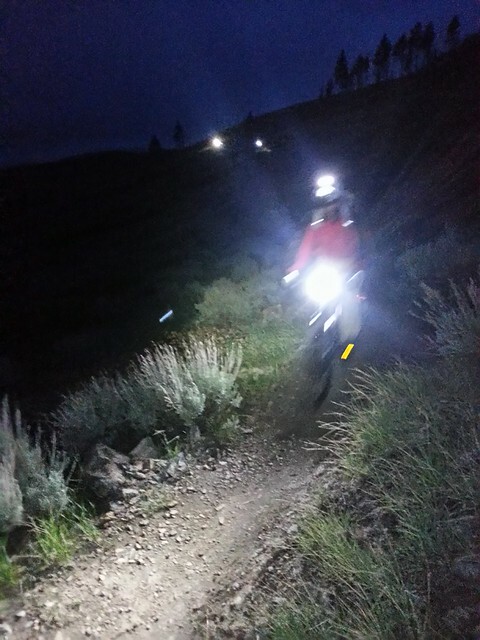 Two teams of six riders each were to compete in a 50 mile relay bike race; all on bikes not normally associated with racing. 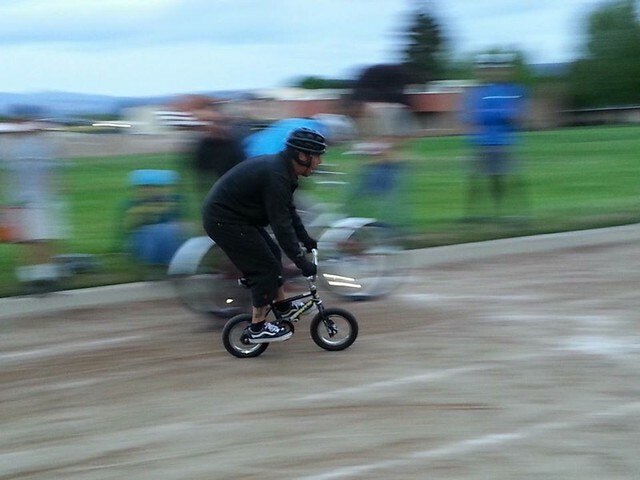 Severe penalties were meted out by course officials that included having to wear a tutu or riding the micro bike that nearly tripled your lap times. 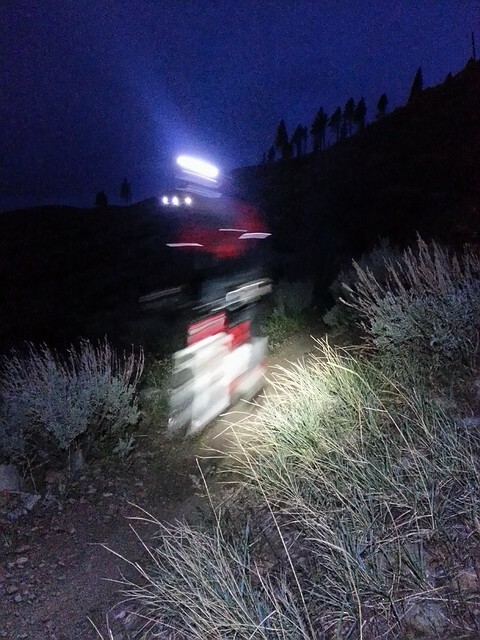 Luckily the race promoter had mercy when the sun went down, and awarded one team victory after 32 miles completed. 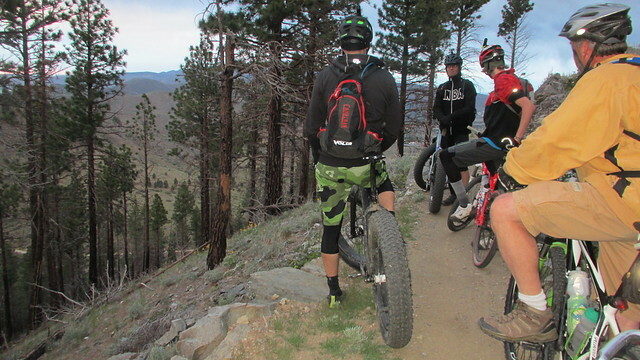 All riders were treated to pizza and beer following the event, and only minor injuries were reported. 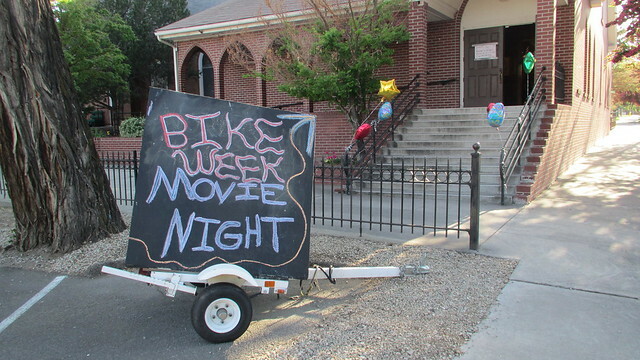 It was Bike Movie Night at the Brewery Arts Center on May 9th. 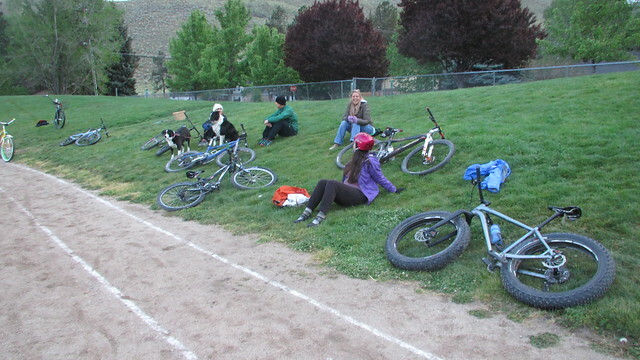 We had a concession stand, bicycle parking, and a fun movie! 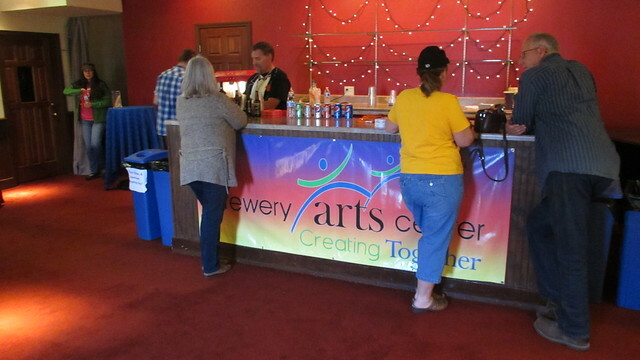 It turned out to be a great venue. And there are MORE events to come! 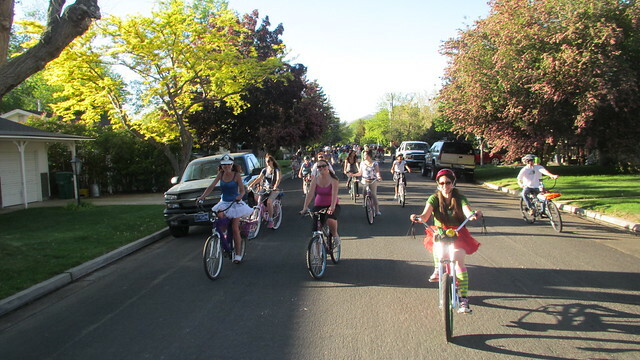 Tonight, Wednesday May 13th is the West Side Cruiser Ride. 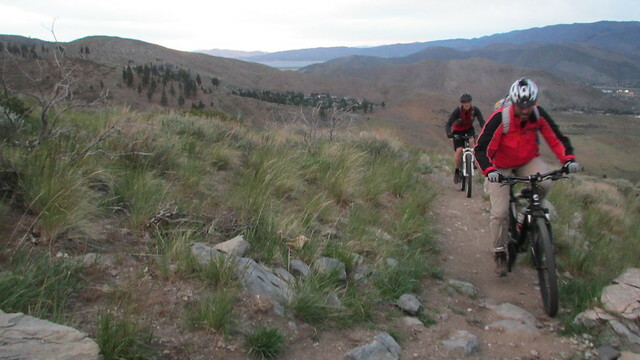 Meet at the Brewery Arts Center at 6:00 PM for an easy family-friendly, 4 mile bike ride around Carson City’s west side. 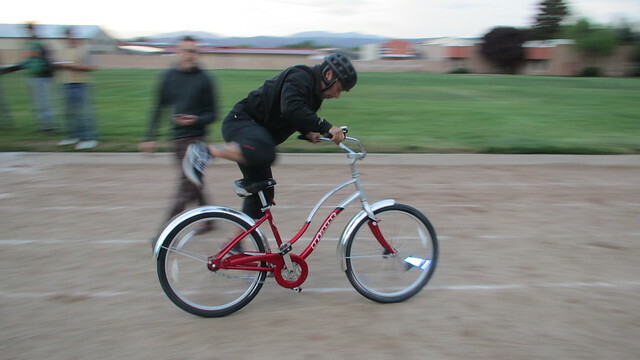 Decorating bikes and costumes are encouraged. 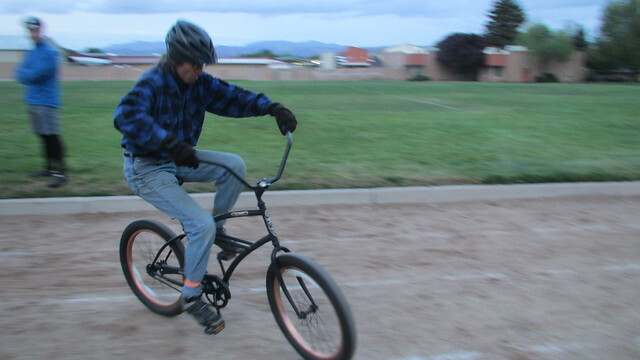 Fingers are crossed for good weather. 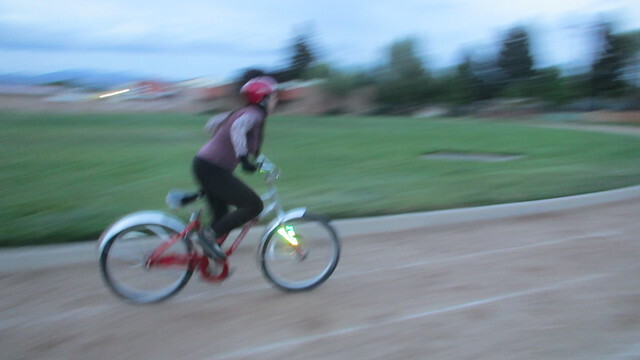 May 11th – 15th, teams have been competing in the Bike to Work Week Corporate Challenge. 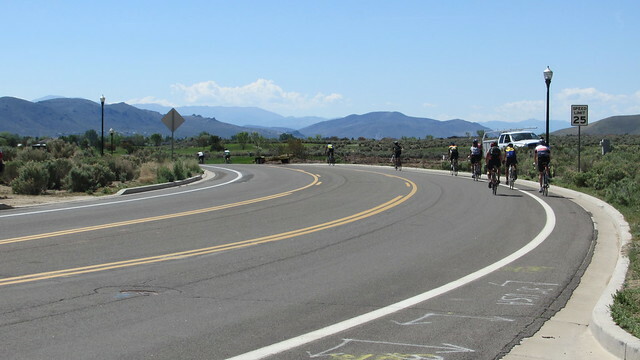 Each year riders rack up 100s of miles and trips by bike throughout the week. 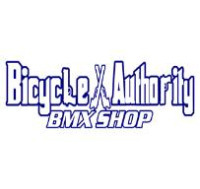 On the 15th, we’re having a party on 3rd Street at the Firkin and Fox for all the riders. 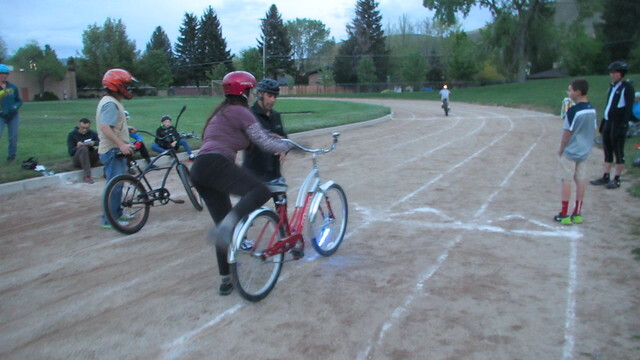 It’s a fun finale celebration to all the official Bike Month events. 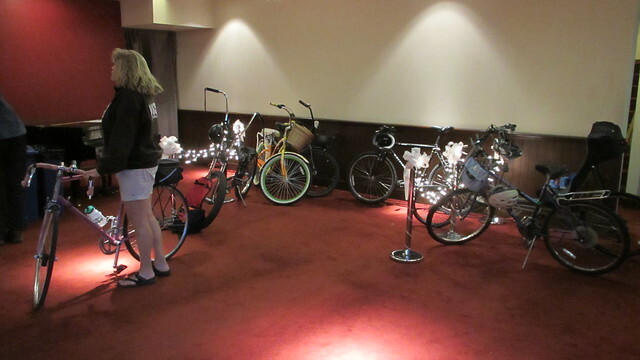 As usual, there will be lots of great raffle prizes from local businesses, including two cruiser bikes. 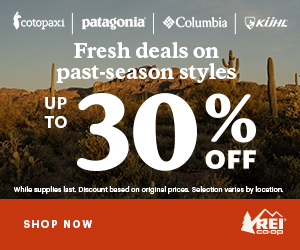 Proceeds go to support Muscle Powered. 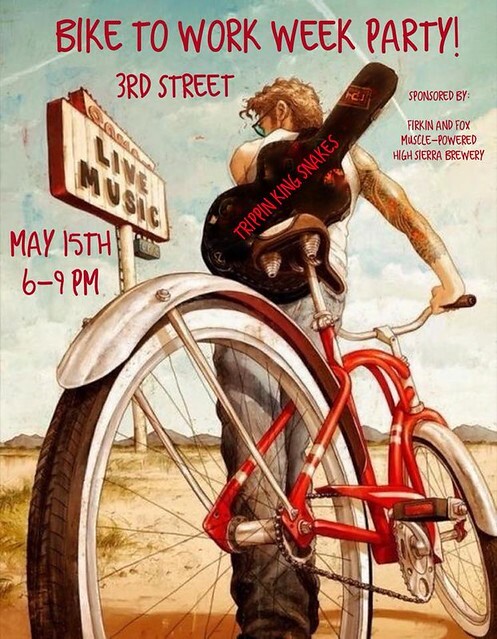 Music will be provided by the Trippin Kings Snakes. 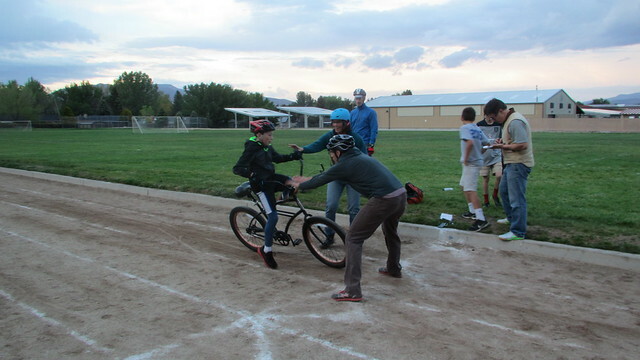 There will be helmet decorating for the kids, and a few bicycle games too.